Wandering aimlessly, your humble narrator recently encountered this rather badly equipped automobile just off Northern Blvd. The historic cradle of the automobile industry in New York City, this stretch of the great thoroughfare hosts several multi acre car lots, including the famous Major Auto World. This is the corner of 44th street. Bruce Bendell and his brother Harold began operating a Brooklyn carwash and auto repair shop in 1972. Subsequently they and their father sold used cars and leased new cars in Brooklyn before purchasing Major Chevrolet, a Long Island City distributor, in 1985. At this time the dealership was in decline, with only 500 cars and $10 million in annual sales. By 1990 sales had increased tenfold. In 1996 Bendell’s Major Automotive Group was doing about $180 million a year in business. One of New York’s largest auto dealerships, it now consisted of six franchises, including Major Chevrolet/Geo; Major Dodge; and Major Chrysler, Plymouth, Jeep Eagle, in Long Island City, plus, in Woodside–another Queens community–Major Subaru, in addition to Major Fleet and Leasing, the leading supplier of taxis and police cars in New York and also a lessor of trucks. I haven’t witnessed a car deconstructed in this manner for many years, perhaps as many as twenty. 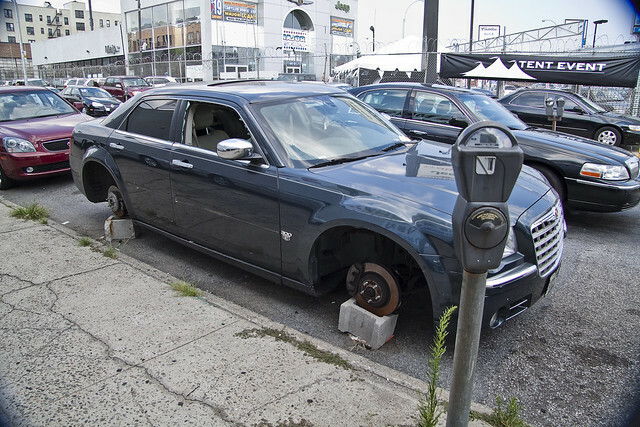 Once a common sight in the City of Greater New York, before “Giuliani Time“, this car was stripped of wheels and electronics, and the entire act probably took less than five minutes to accomplish- if the professionalism of the thieves guild has held up since the old days. Starting in 2005, New York City achieved the lowest crime rate among the ten largest cities in the United States. Since 1991, the city has seen a continuous fifteen-year trend of decreasing crime. Neighborhoods that were once considered dangerous are now much safer. Violent crime in the city has dropped by three quarters in the twelve years ending in 2005 with the murder rate at its lowest then level since 1963 with only 539 murders that year, for a murder rate of 6.58 per 100,000 people, compared to 2,245 murders in 1990. In 2009, the low would be displaced. Among the 182 U.S. cities with populations of more than 100,000, New York City ranked 136th in overall crime. I’ve been sort of expecting to see this sort of thing to start up again, and no, it’s not because there are fewer police these days. Classic right wing thinking, a sort of disastrous chest thumping and braggadocio practiced by the safe and protected, is to proclaim “more cops” as a panacea for any and all of society’s ills. I thought that the right had learned the lesson of this at Waco, and at Ruby Ridge. We don’t need more cops, we just have to offer them better pay, support staff, and on the job training- but I guess that’s latent socialism talking. 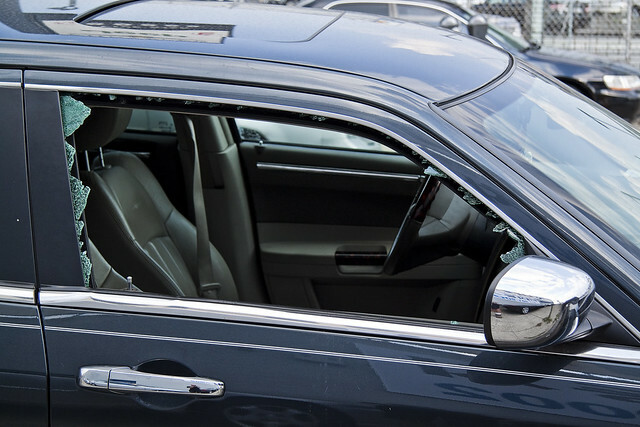 Last year, from January through September, 94,724 vehicles were stolen in New York City. That’s about 126,000 cars a year, or 345 a day. 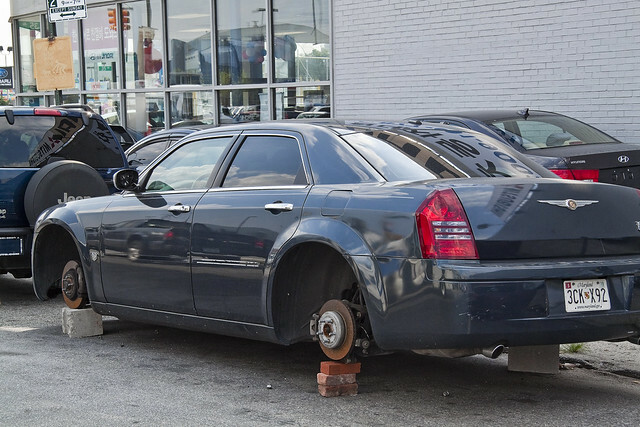 New York City leads the U.S. in auto thefts, with 139,977 in 1991, or twice the number reported by the second place finisher, Los Angeles. Despite the number of cases, or perhaps because of it, the police seem uninterested in the average theft. The Police clean up the mess after a crime- but they seldom are there when it’s being committed. Even during “Giuliani Time” or the long and notable tenure of the current Commissioner, the combination of a booming job market and mandatory sentencing were the direct causal factors in a reduction of crime here in the Naked City. The spate of 10-15 year sentences handed out so liberally in the 1990’s are coming to an end, and New Yorkers will once again know the true meaning of the word “Scumbag”. Obtain form MV78B “License Plate Form” from your local police precinct. Submit Form MV78B to Department of Motor Vehicle. Retain a copy of Department of Motor Vehicle Form as a receipt. 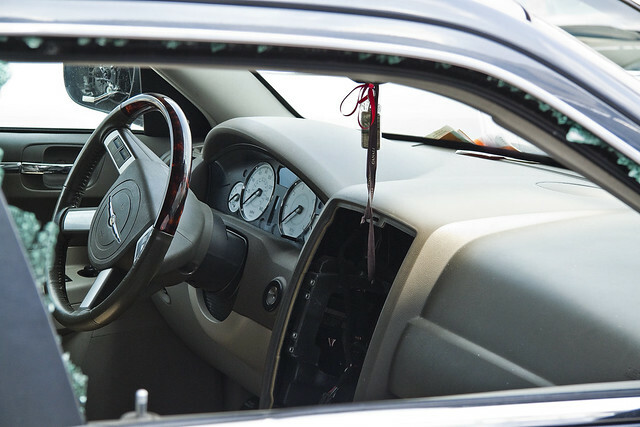 NOTE: False reporting of vehicle theft is a crime and can be punishable by a fine or imprisonment. “It’s the economy, stupid”- When your baby is hungry, you do crazy things to put food on the table. The parents of fat, happy babies generally don’t do this to automobiles- or strap dynamite to themselves and blow up buses for that matter. Old school crime like this happens quickly, this car was probably stripped down within minutes, and the fact that a “chop shop” didn’t dissect it for black market body parts also speaks to the greater economy’s relative weakness. 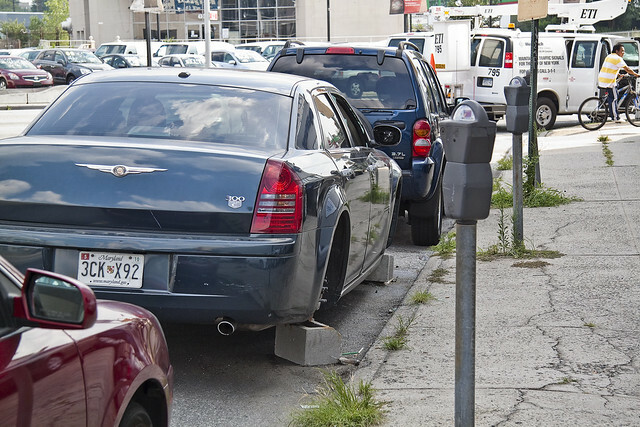 In his first term as mayor, Giuliani, in conjunction with New York City Police Department Commissioner Bill Bratton, adopted an aggressive enforcement-deterrent strategy based on James Q. Wilson’s “Broken Windows” approach. 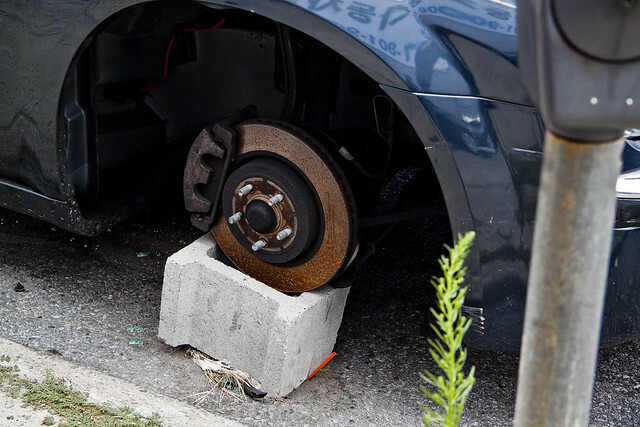 This involved crackdowns on relatively minor offenses such as graffiti, turnstile jumping, cannabis possession, and aggressive “squeegeemen”, on the theory that this would send a message that order would be maintained. Giuliani and Bratton also instituted CompStat, a comparative statistical approach to mapping crime geographically and in terms of emerging criminal patterns, as well as charting officer performance by quantifying criminal apprehensions. Critics of the system assert that it creates an environment in which police officials are encouraged to underreport or otherwise manipulate crime data. We’ve become accustomed to walking about the city, these days, as if we were safe or something. That existential horror did not lurk along the brightly lit path of shambolic corporate fantasies and elaborate real estate schemes, and that a nightmare population of atavist monsters were not returning from exile to walk amongst us, and do what they wilt- which shall become the whole of the law. A raging crack epidemic in pockets of New York poured people into its jails starting in the late 1980s and early 1990s. The population peaked in 1992, according to correction officials, when the daily average hit 21,449 and the annual intake reached 111,045. But by the end of the last fiscal year on June 30, 2009, the average daily population had dwindled to 13,362, while the number of inmates admitted that year shrank to 99,939. This year, both figures appear likely to be even lower.